Since more than 30 years, REM designs and manufactures assembly lines in manual, semiautomatic or automatic (with robot) workstations, JIT systems – kanban. 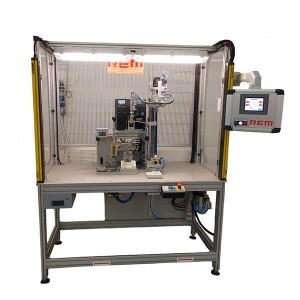 REM is a guarantee of ideal automation for products to be assembled (with Fmea), until the final project is achieved, with the objective of removing any structural inconsistencies. 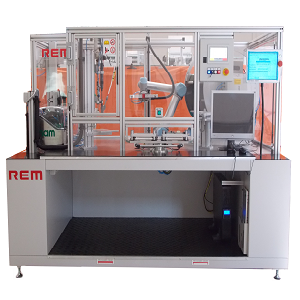 REM operates in the civil and industrial automation sector, including the production of assembly systems for electric pumps of household appliances, various types of faucets, AC / DC electric motors with associated gear unit, blocking bearings, expansion tanks for boilers or sanitary systems. 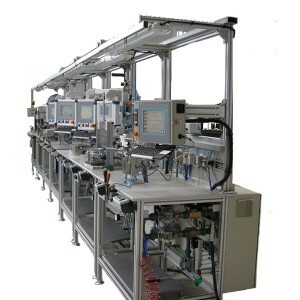 Robotized island for the assembly of a PCB to the own cover and welding of a lcd display on the PCB itself. 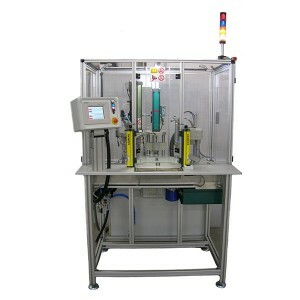 Specifically a cobot drives a suitable workpiece holder pallets in the order of an automatic screwing station, a welding station and finally within a laser marker that performs screen printing of the buttons housed on the cover itself. The loading and unloading of the workpiece is done by the operator by means of a rotary table not motorized. 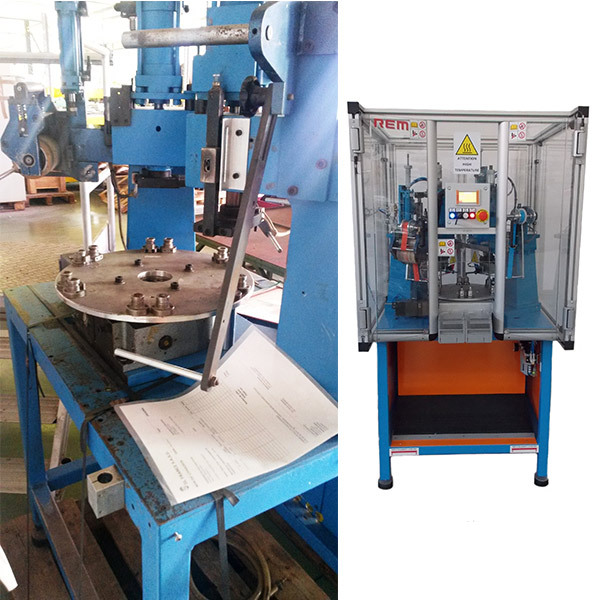 Rotary table having the function of assembling the fixed core with a copper coil of an electromagnet placed on a solenoid valve. 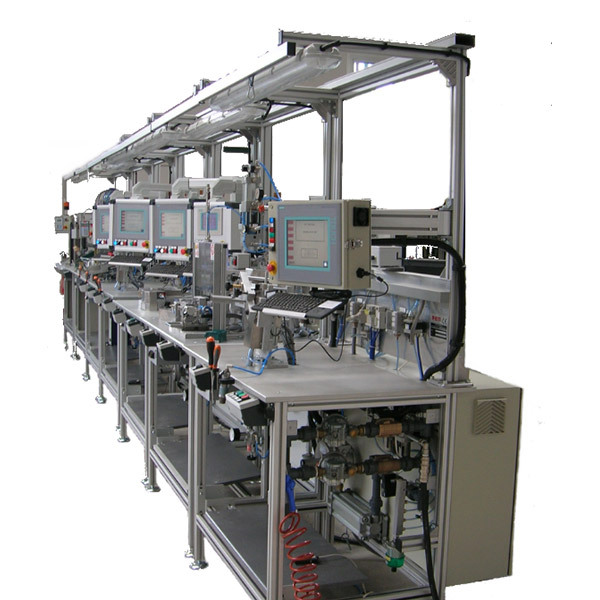 Assembly, testing and packaging line of gear motors for civil and industrial sectors. 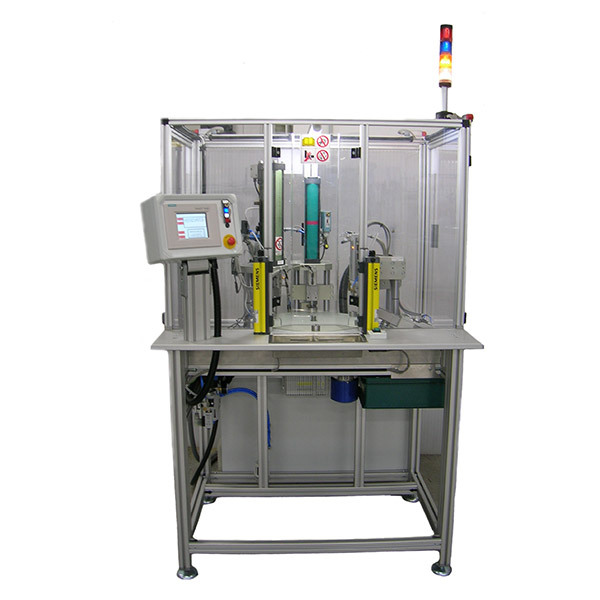 Automatic station for assembling, testing and labelling f the rear camera group used in the automotive sector. 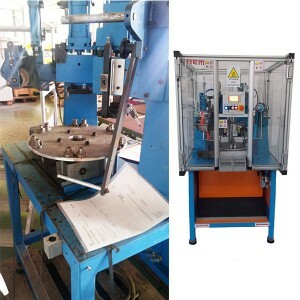 Recycling and commissioning of a rotary table with six positions, with the function of performing hot marking of button switches, used in household appliances. 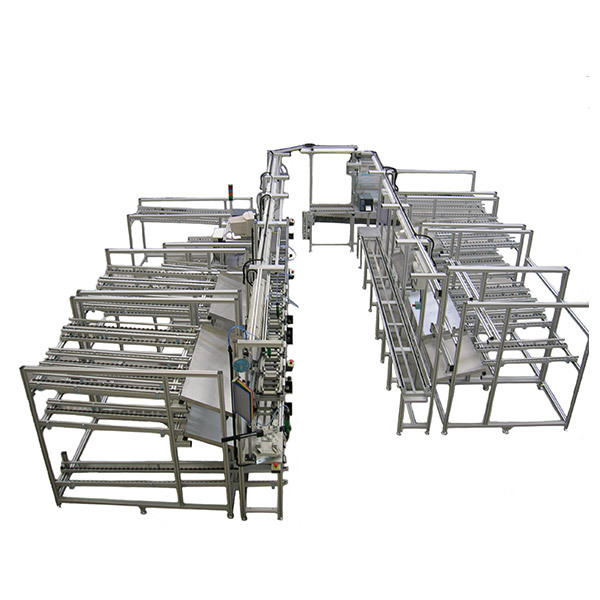 Assembly and testing line for safety valves installed on the gas boilers.